For our Friday DIY, I decided to highlight kanzashi flowers again. This time, we turned the flower up side down to showcase the beauty of the bottom of the classic flower. 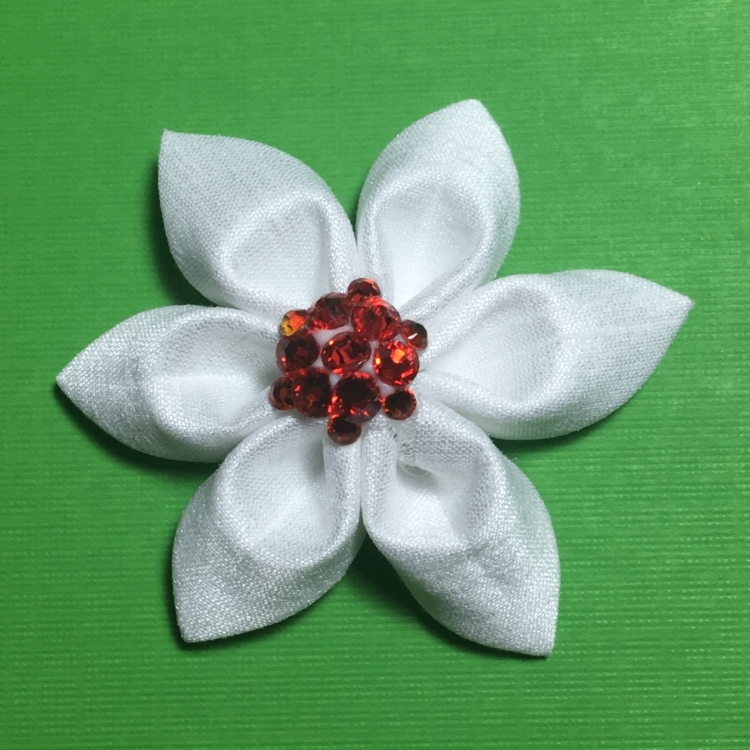 Part of the reason why I like using this particular technique to make these flowers, is that if you pay attention as you are putting the flower together, the bottom looks just as beautiful as the top and it gives you two options in how you highlight the flower. This is one of the main reason’s why I love tsumami kanzashi is its flexibility. Just making minor adjustments to the either the process or how you present it, gives you a brand new flower. So play around with it some. With each new flower you make, see what each color or size looks best highlighted from the bottom or the top. 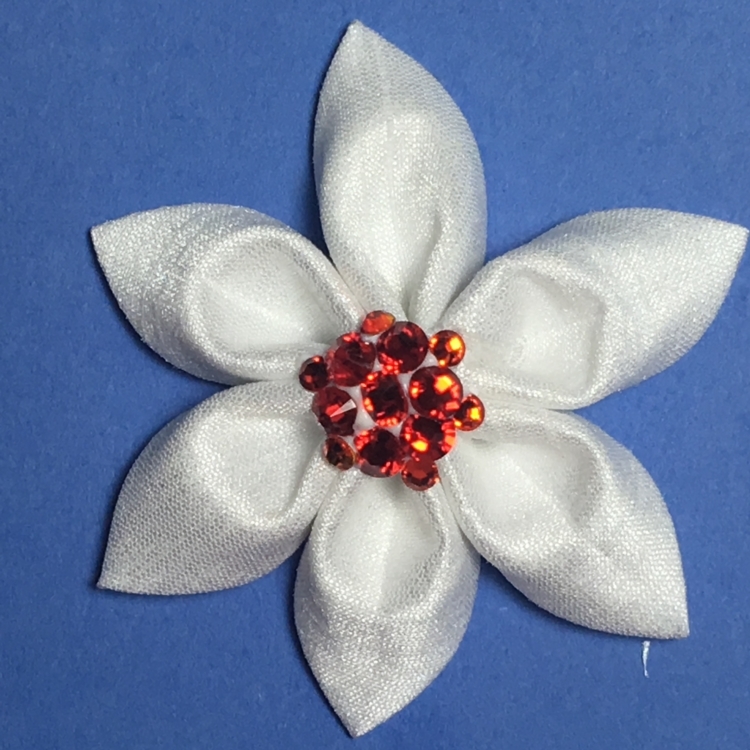 Now on to making this flower. I would recommend taking a quick look at the original tutorial here. 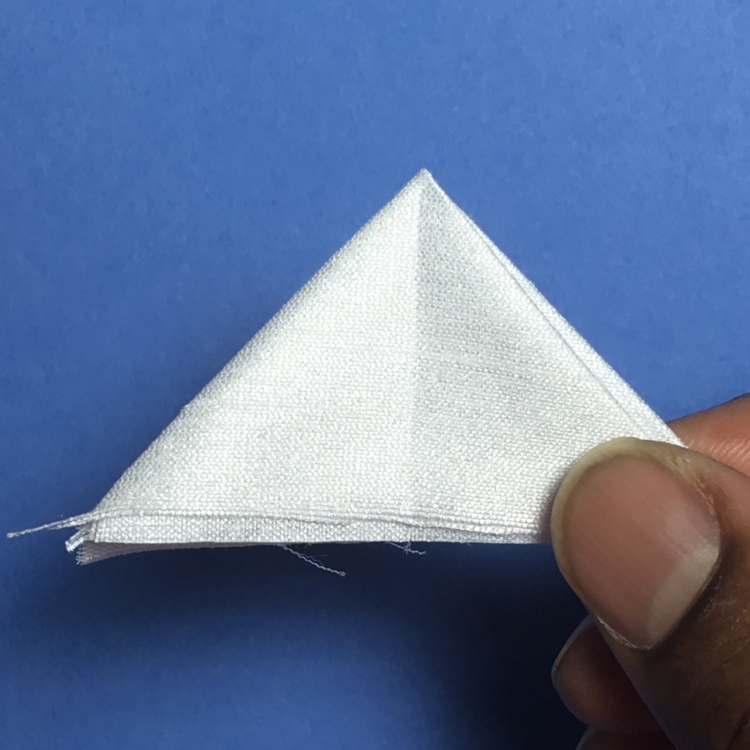 I find it helpful sometimes to fold it in half a third time and pressing hard on the folded edge to get a center guide. Open the triangle. 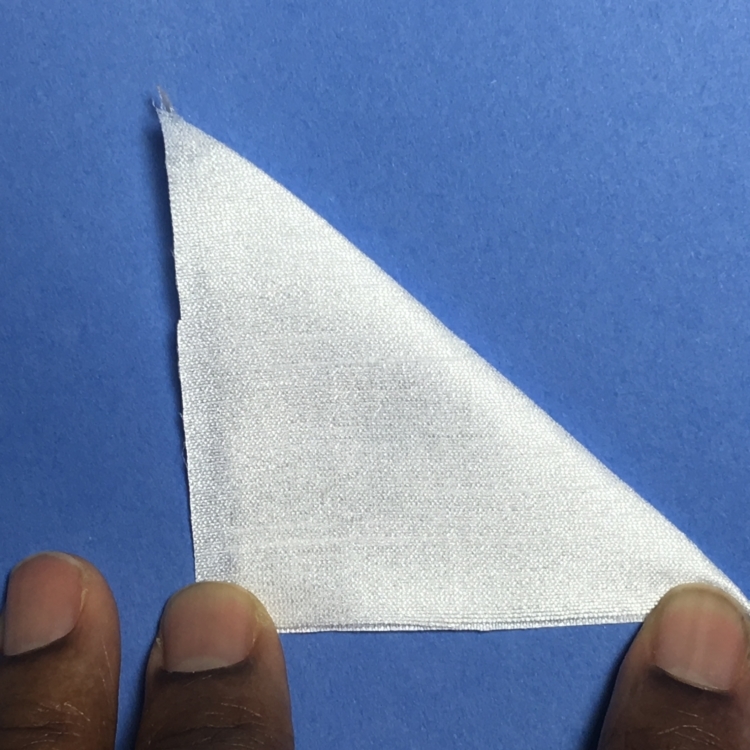 Use the fold line as your guide for the next steps. Repeat with the left side to have both edges meet in the middle. 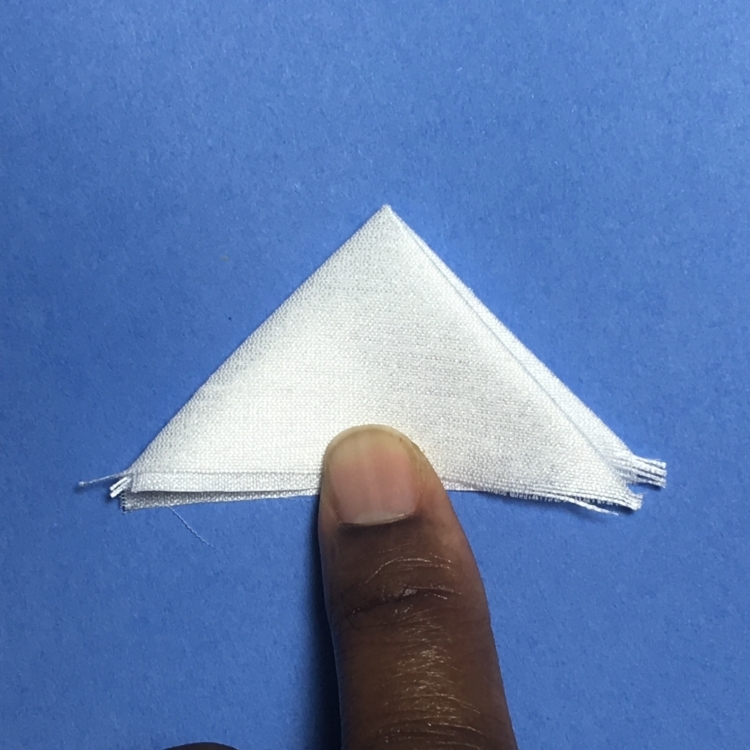 You will have created an up side down kite shape. 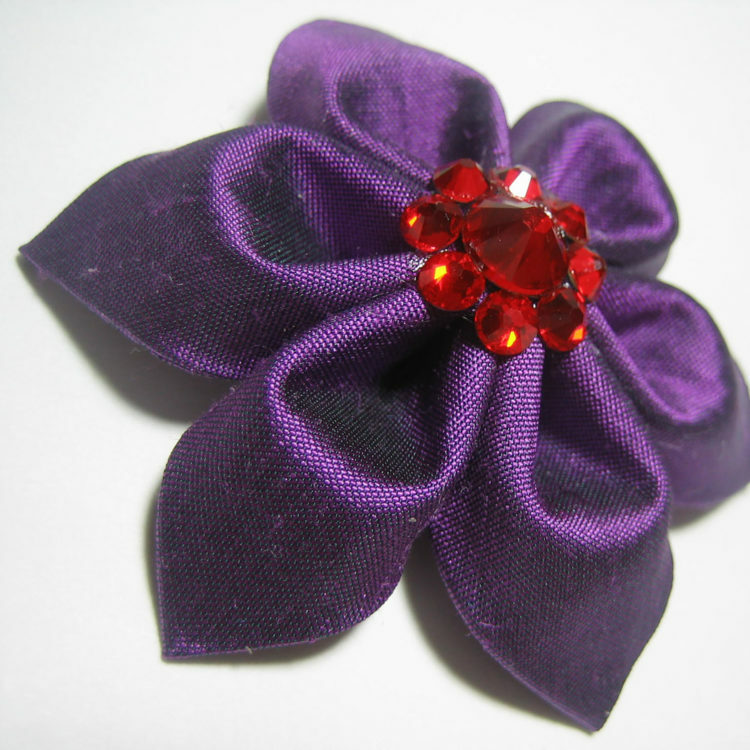 Pick the petal up and make any adjustments necessary so that the looks identical on both sides. 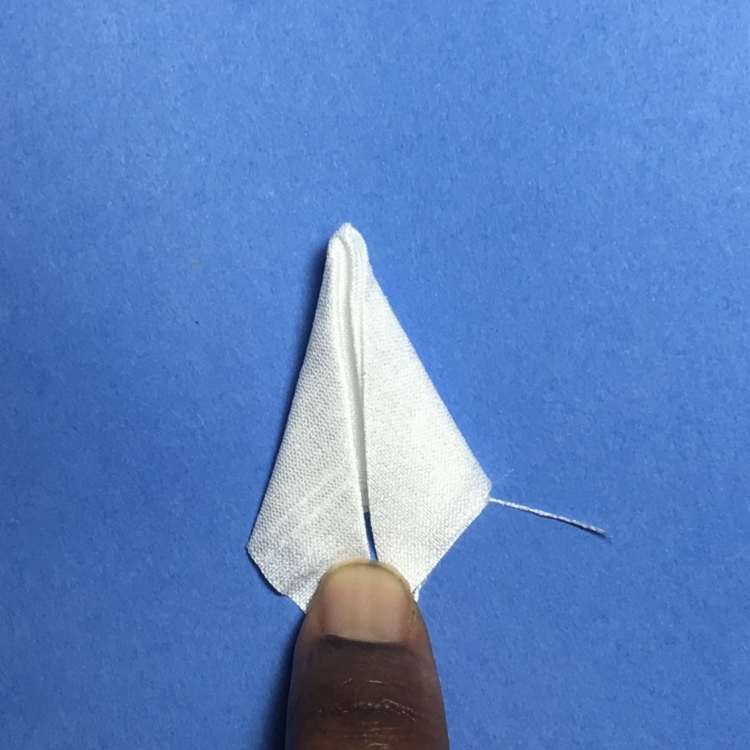 Holding the folds in place, turn the petal upside down and cut off the overlap as shown in the picture. You will end up with an isosceles triangle. 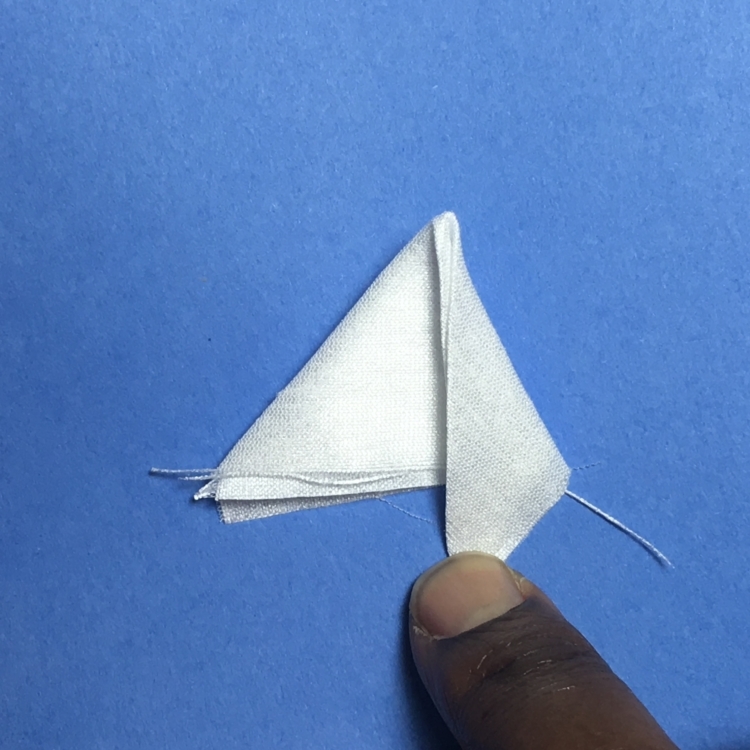 Fold this triangle in half again so that you have a right angle and hold it in place with a binder clip. Using the first petal as a guide, pierce the second petal making sure to line up the pointy tips. 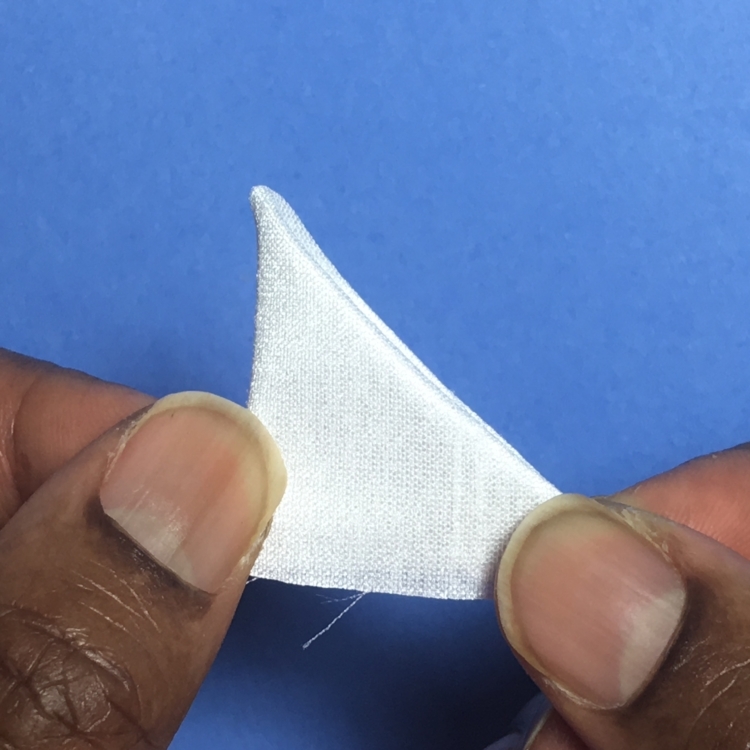 You want to make sure that you are lining up the pointy sides as well as the top edges. 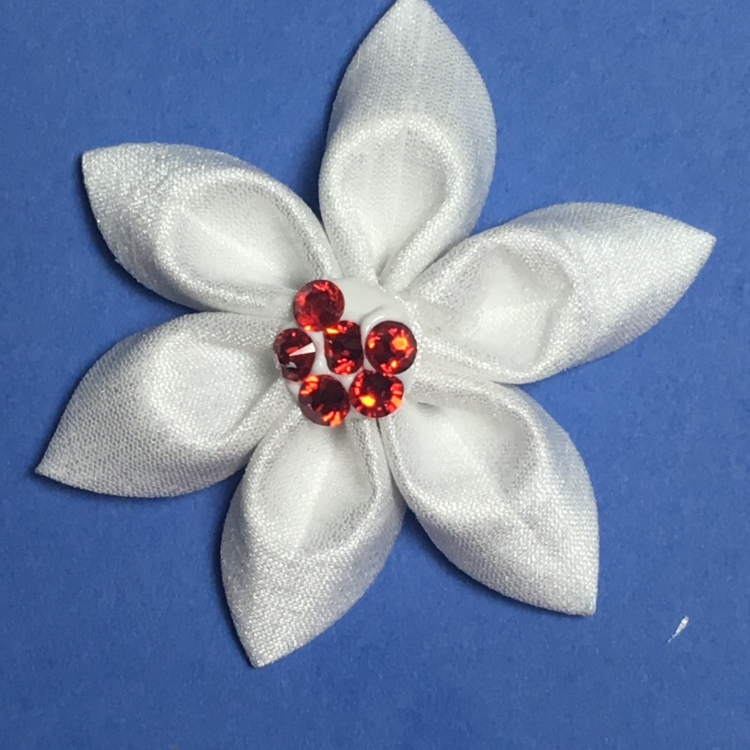 Repeat with the rest of the petals, making sure to keep them all on the needle. 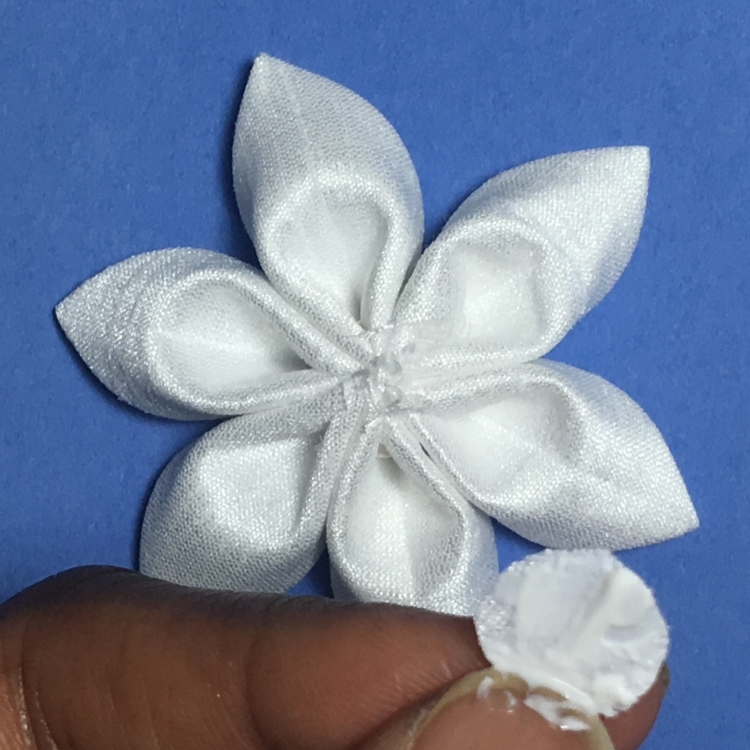 Once all six petals are lined up on the needle, pull them off and onto the thread. 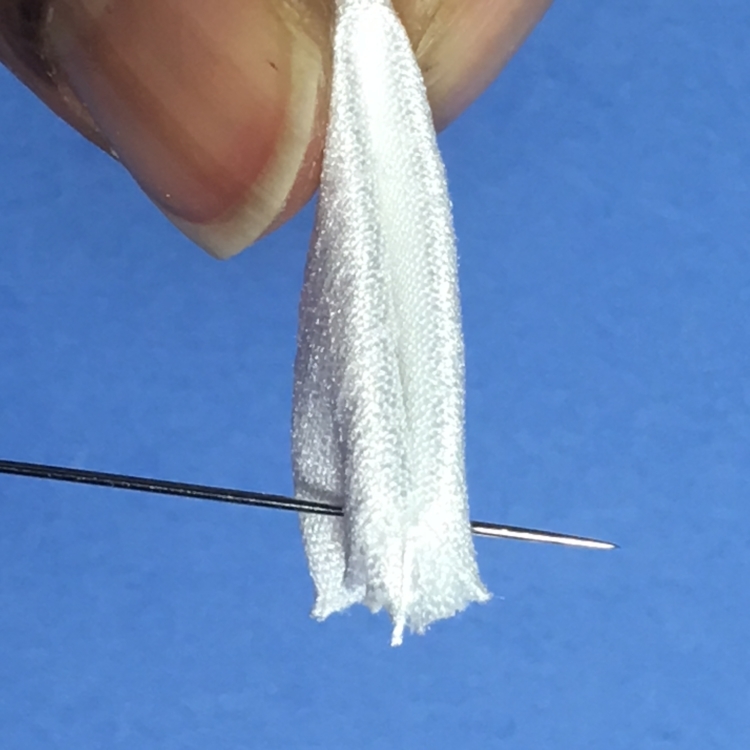 Once the petals are off the needle, make a knot. 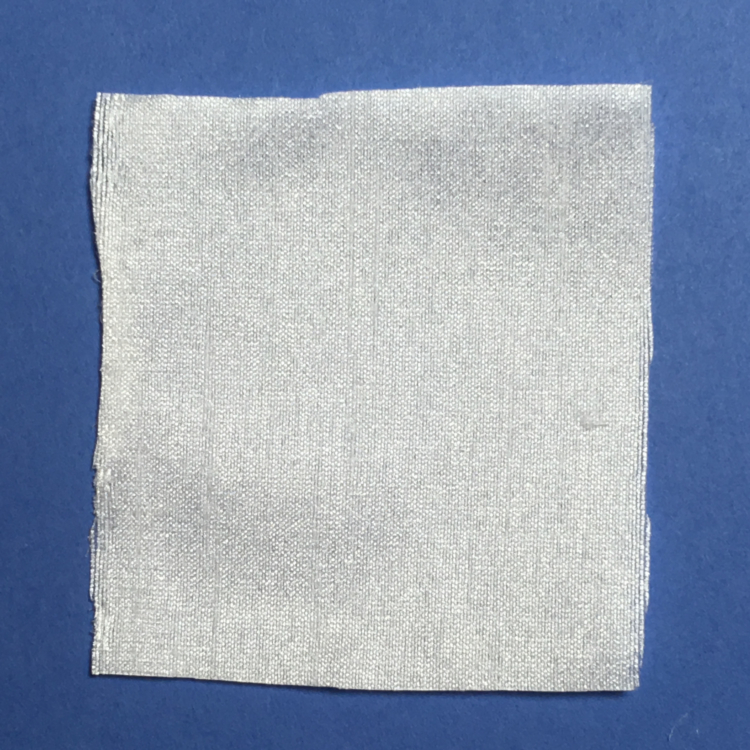 Make it tight but not too tightly. 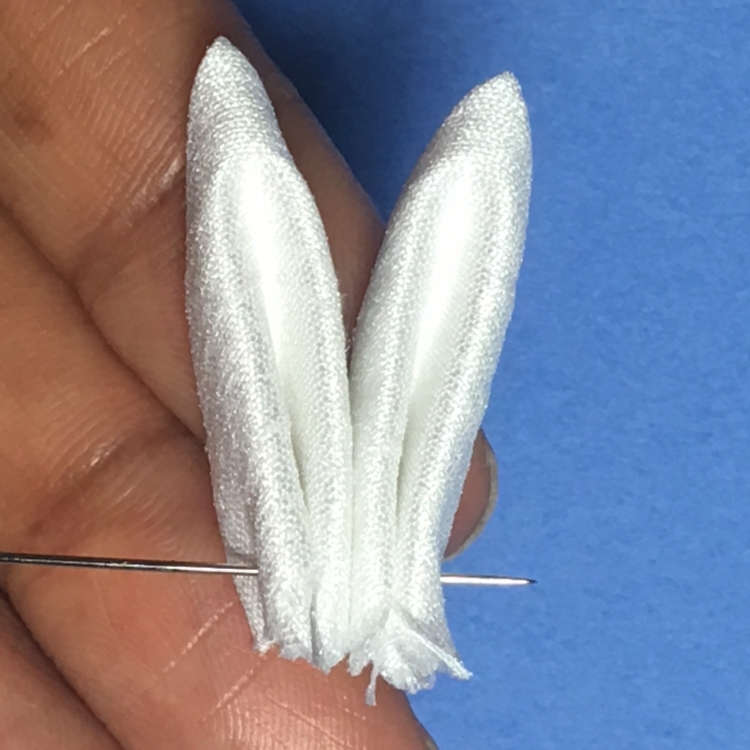 You want to give yourself room to adjust the petals as needed. 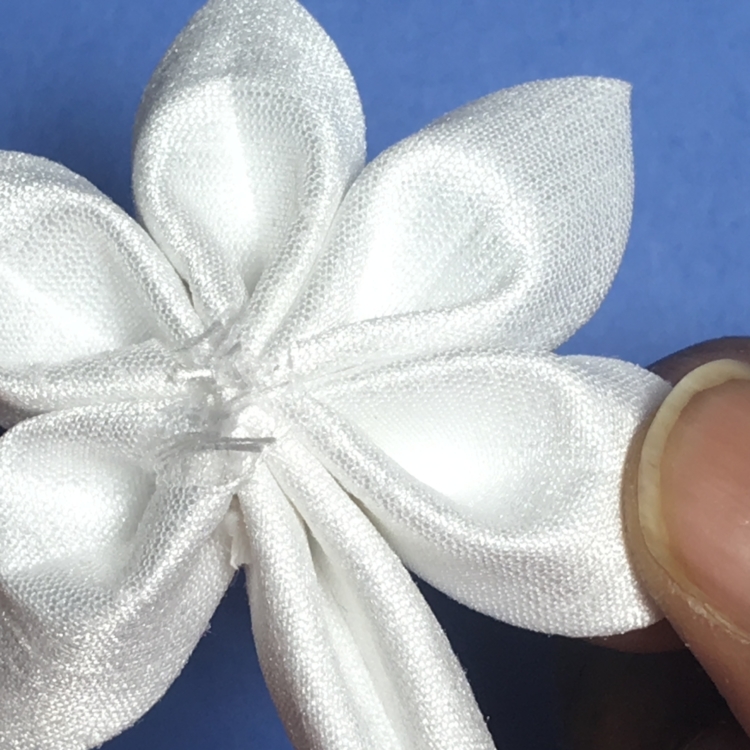 Make a double knot and cut off the long strands close to the knot. 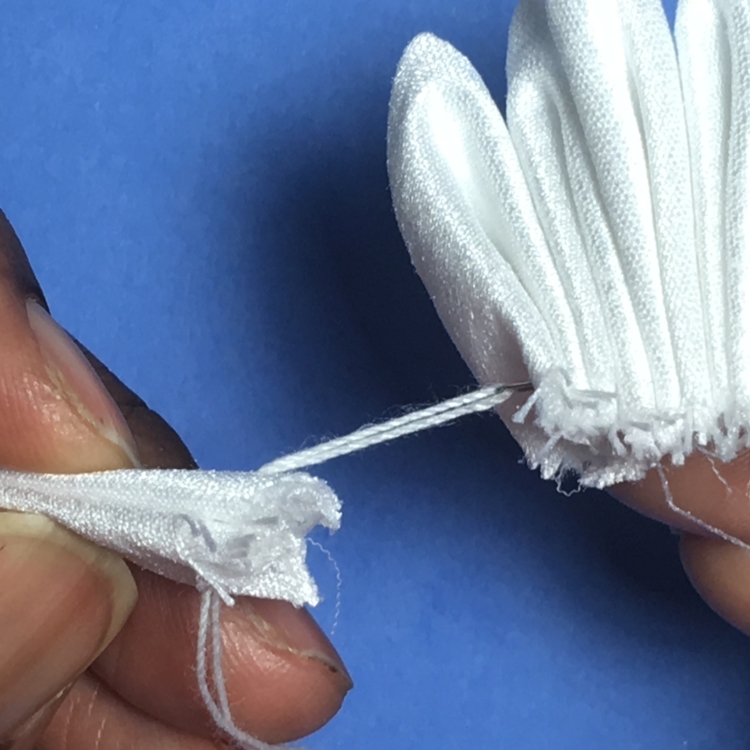 Next you will shape the flower by pulling, pinching and fluffing the petals so that all the petals line up in a straight line to each opposing petal. 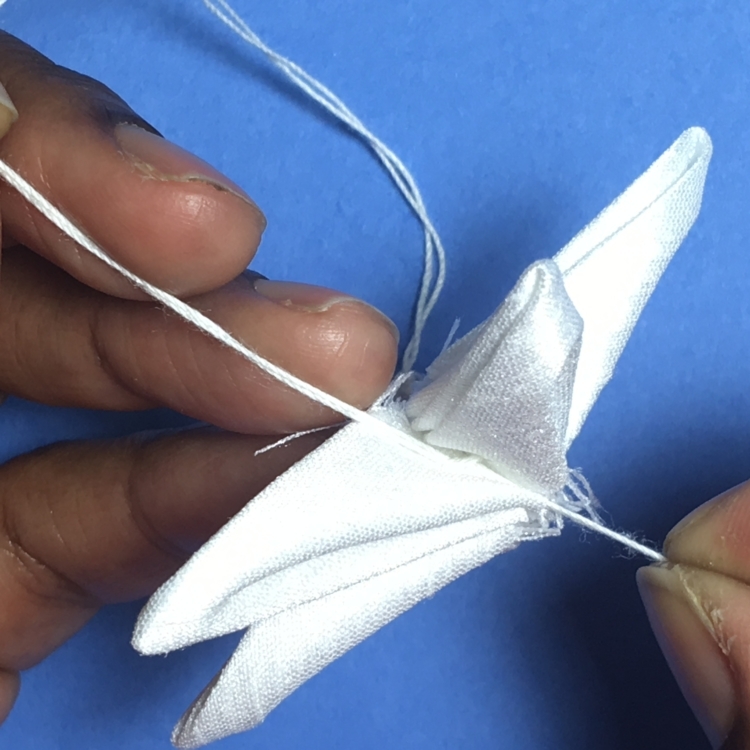 You can add a dab of hot glue in-between the petals to help keep its shape. Once you are happy with the shape, you are ready to move onto to the next step. 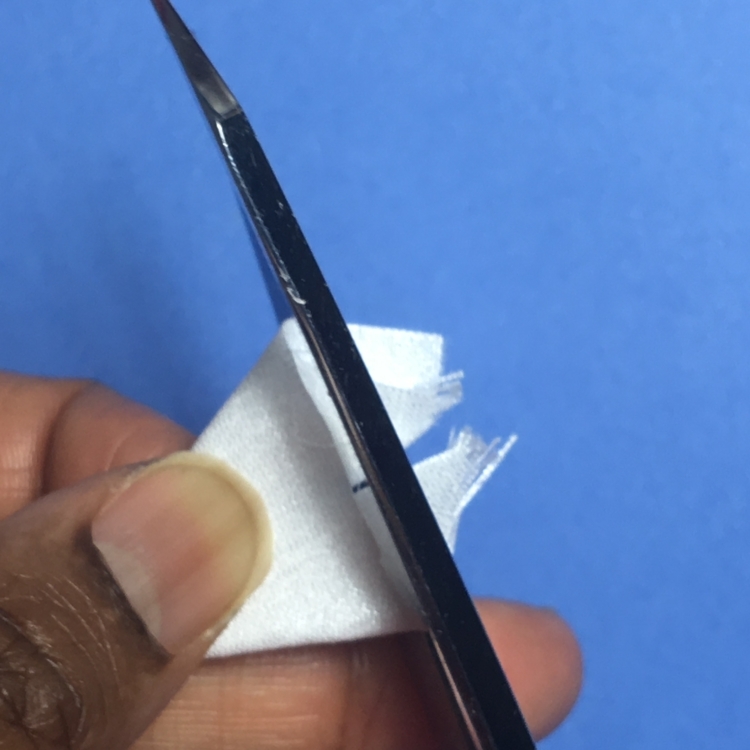 First, add a dab of glue to the fabric circle. Make sure the glue is spread to the edges of the circle. 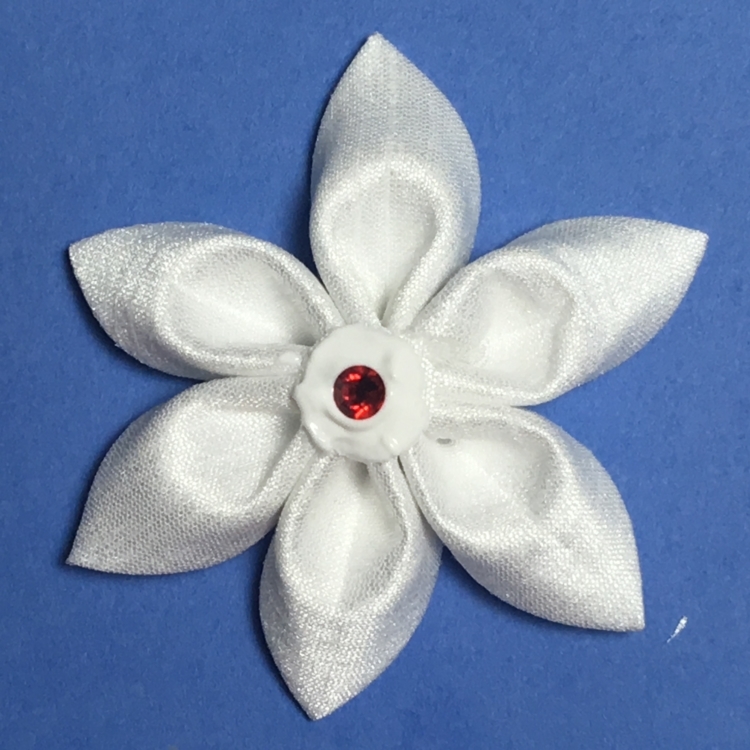 Place the circle on the flower to cover the open hole in the center. Gently press down to adhere. 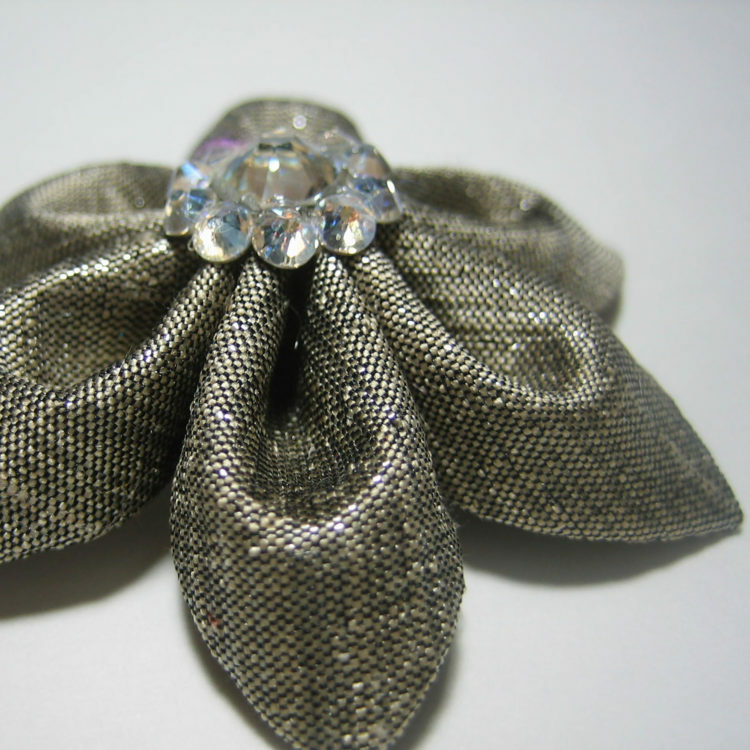 Continue to add the crystals in the desired pattern. All done. 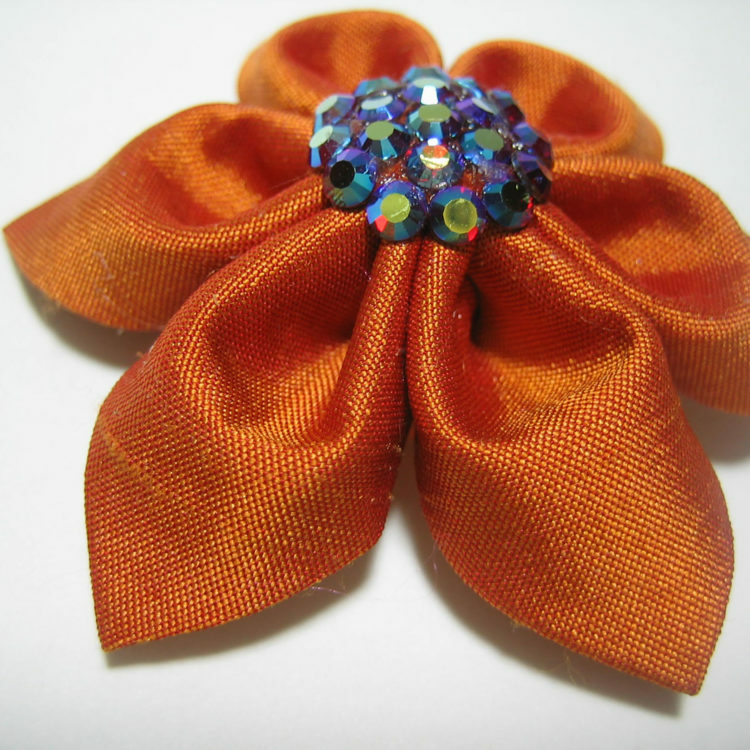 Allow the glue to dry before adhering the flower to a headband, bag or whatever your desired final resting place.